A picture showing a traditional brush coming out the top of the chimney on a chimney sweep in Chingford. We use both traditional and power sweeping methods to ensure that your chimney is cleaned properly. All our sweeps come with a smoke/draw test & a certificate of sweeping for your insurance purposes. 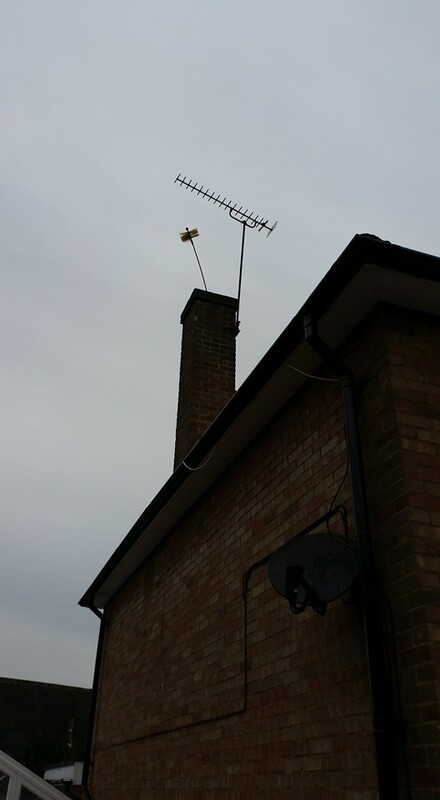 For all chimney sweeping needs in Chingford give us a call or contact us through our website contact link. We sweep all types of fireplaces and stoves, both lined and unlined. So if you are looking for a chimney sweep in Chingford E4 please contact ourselves.